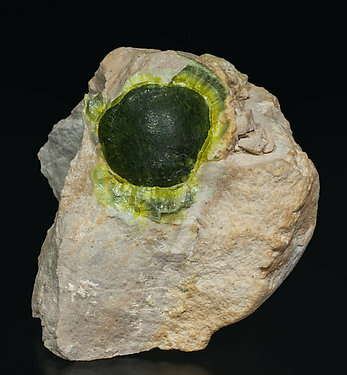 Spheroidal Wavellite core on matrix with a very deep green color and an external layer formed by radiating growths of acicular crystals with a greenish yellow color. Richly crystallized area totally covered by the well formed Wavellite balls. A unknown-owner old label is with the specimen as well. 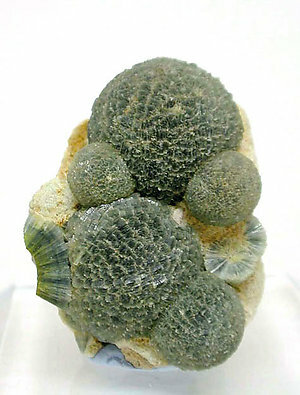 The good color, growth and form of this botryoidal group are notable. 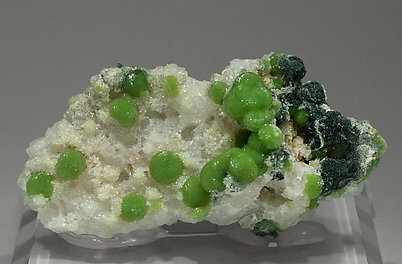 This is a mineral that is becoming rare from this locality. A real classic. From the David Lucas collection, number 456, and we will give the buyer his label. Spherical aggregates of Wavellite on a matrix of micro-crystalline Quartz. 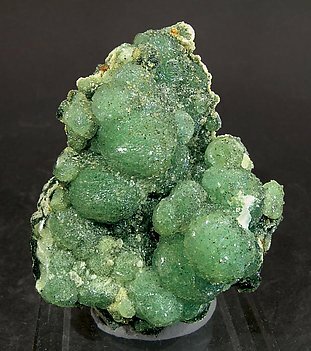 The aggregates, more isolated and distinguishable than usual for the samples from Mauldin Mt., have a clear apple green color and a very intense luster. The sample is from John. S. White (num. 21-3-7), whose label we’ll send to the buyer.